the new Pothys ad featuring Sathyaraj and Seetha. I think it looks super and love the Tamil. I think they should do a movie as King and Queen. I am a fan of this ad. Wonder when period films will be made again. But with gargantuan budgets I guess that is going to be a tough one to manage. Talking of movies I totally think Hugh Dancy is super dishy. I see I have a pattern of liking the Hugh first names. Hugh Grant Jackman (!!) and now Hugh Dancy. Of course Hugh Jackman will be number 1 coz of Kate and Leopold and not to mention X Men. Hugh Dancy, guess I saw him first on Ella Enchanted and the Jane Austen Book Club. And now Confessions of a Shopaholic. Super cute. Guess there is hope in the world. P.S: Jackman Jackman Jackman. Not Grant. I dont dig Grant at all! I am santhosh P kumar from kgf, I know you from your 1st song with best score of Mr AR.R. I came to know that you have a Blog last two days back when i was watching your int-v in ss music.The TV show in Star vijay was also good. Really the The pothys ads look very good even i was stunned watching it. //Of course Hugh Grant will be number 1 coz of Kate and Leopold and not to mention X Men. Huh ? I thought Hugh Jackman was in these movies. Hugh Grant is in four wedding and Funeral, Notting Hill etc . no ? Can you find if this ad is in Youtube? I guess you meant Hugh Jackman from Kate & Leopold (I loved that movie too). Hugh Grant.Just thought I would point it out. I also wanted to thank you for the radio station link. It's amazing to listen to it and I never knew we could listen to it online. we have something like this in canada but it's not the same you know. anywho..thank you and take care! sorry this has nothing to do with how cute Jackman actually :) he can put a smile on my face! I feel that you might be able to help me since you seem to be a) resident in india and b)in in the media. I reside in Canada but I'm actually interested in working in India on a short term basis (for the experience) and I have degree in psychology and looking in health care or social work. I can't seem to find good websites or organizations that are reliable. i was wondering if you know of any? I too like that Ad...Satyaraj will suit well in a periodic film. The last periodic film that I have seen and that amazed me was Jodha Akbar. Pulikesi was excellent in comedy! Sathiya: Yep agree with you.. Loved the Akbar character too. only recently i saw the movie Kate and Leopold,nice movie. Hugh jackman looks a bit like hrithik roshan. Its almost 1 and I'm watching the India Bangladesh T20 match all alone..and this particular post really made me smile..I really go with yourphilosophy of 'if God made Jackman and Dancy there must be someone closer home ;)' Nice..
My latest crush has been Patrick Dempsey from an English series Grey's Anatomy..maybe yyou'll like him too..you should often post light hearted stuff too..Enjoyed reading your blog.. I love Hugh Jackman's Wolverine! wholesale sweets: yep.. the movie was awesome. would love to see any number of wolverines that they might take! 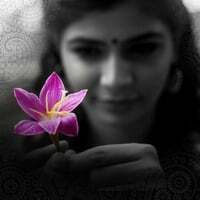 Chinmayi!! Actually I thought I was the only one who saw the connexion!! Jackman is soo cool and yeah a hunk! And Dancy is absolutely adorable!! Both look absolutely edible with that scruffy beard no??? LOL!! Did Wolverine hit India yet! If yes then I have a bone to pick with the Satyam guys! !